I had a feeling that Easter would sneak up on me like a quiet little bunny. For the past month, whenever I have had a spare moment I’ve been creating some lovely pastel colored Vintage Floral Easter Eggs. 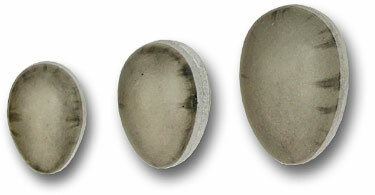 The eggs themselves were papier-mâché forms that were imported from Germany. Sadly, Blümchen no longer carries these exact gems. I gave each egg three coats of paint and topped it with a soft glaze. The interiors remained brightly shaded for a fun surprise. 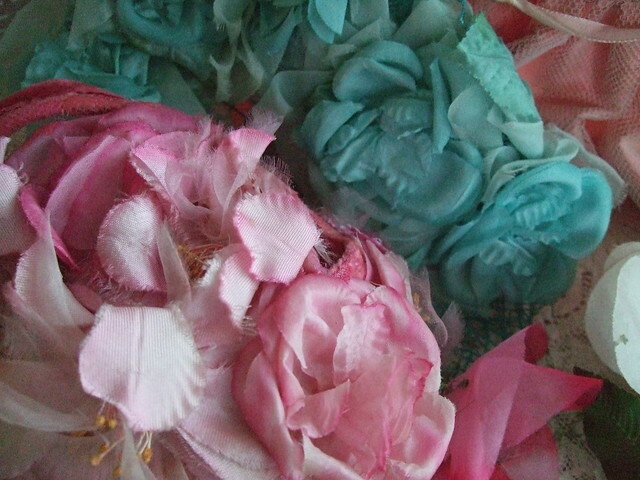 After the paint had dried I pulled out my various hat boxes of vintage florals and trim. Then came the fun of creating each eggs floral design. I adore the French blue. But the turquoise might be my favorite. I hope to make a few more very soon. My guess is that Easter is such a sacred time for you that you will make it very important. Darling eggs and the green header is great. I love that you change that up and make it fun monthly. Are you also starting to pack for France? Oh what a joy that will be. Have fun and I'm sooo looking forward to what you share on your trip. Beautiful Laura! so lovely for Easter! Your Easter eggs are lovely, Laura. And this reminds me that I have two little Easter dresses to sew for my darling granddaughters. They are really lovely, Laura! They are so pretty! Easter is definitely going to catch up with me, as we have a sixteenth bday party this weekend, and Easter only two weeks after! I just adore the blue, by the way! Laura these are so pretty! I just put a few of those eggs that have pictures of silly rabbits riding bikes on them in my booth. I think I will take them back out and paint them! Sure sorry I will miss seeing you while I am there. YOu and son have a great Spring break! Am trying to figure out what to pack- we are in the middle of a snow storm right now and it is so hard for me to think of warmer weather! My granddaughters would think they were in 7th Heaven if they received those eggs! Beautiful! Those are so pretty. The vintage floral bits make them really special! You always create the most beautiful decorations and your Easter Eggs are no exception. Congrats on getting an A in Art History! I look forward to reading your post on The Book of Kells when I am able to give it the full attention it deserves. I know you spent a lot of time and effort on it. I'm very intrigued. Oh, these are all gorgeous! All the Easter eggs are so elegant. Love the pastel colors and glaze on them. So stunning!